OK, not a true haiku. But it serves my purpose this week! My daughter Amy's flock of Barred Rocks are so much fun to watch. And to indulge myself, I am posting my newest Barred Rock movie below — all 11 seconds of it. I took a series of burst photographs and strung them into a short where each photo is a frame that lasts 0.15 seconds. 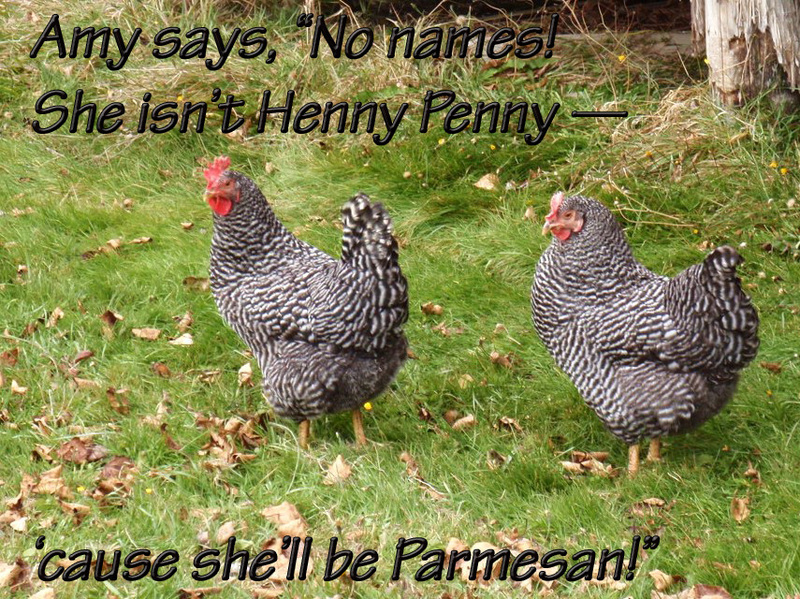 To see my other chicken movies (and to learn a bit about New England's Barred Rocks), click here to go to my previous post. What pretty chooks, Meeyauw, I love the little clucking noises chooks make when they're all happy and contented after being fed and having rid themselves of the egg. It's a "life's good" sound. An enjoyable treatment of the prompt. Nicely done. Love the photos and as much as I enjoy watching chickens...I also enjoy eating them. Wonderful treat for this prompt, these are very beautiful --- I would hate to eat them. I haven't seen chicken like this since I was a wee child. Also enjoyed the other short film. Nicely done. Great picture too! True to Haiku, you brought it home at the end! Nice clever twist! Aww...very sweet; this one made me smile. I am glad you had fun with this because it was a great laugh. Now chicken flix was a real treat. Like Parmesan and nearly as sweet. Great chix! I haven't chatted in a while. How are things? My grandmother had Plymouth Rocks (same Barred) and Rhode Island Reds. We had mostly 'white' chickens and a few Buff Orpingtons. And sometimes a few 'Banties'. What pretty birds! I love your take on this prompt. Nice one Andree. Cute interpretation for the prompt!